Russian poet Yevgeny Yevtushenko, best known for his poem “Babi Yar,” which commemorates one of the worst Nazi atrocities, dies at 84. 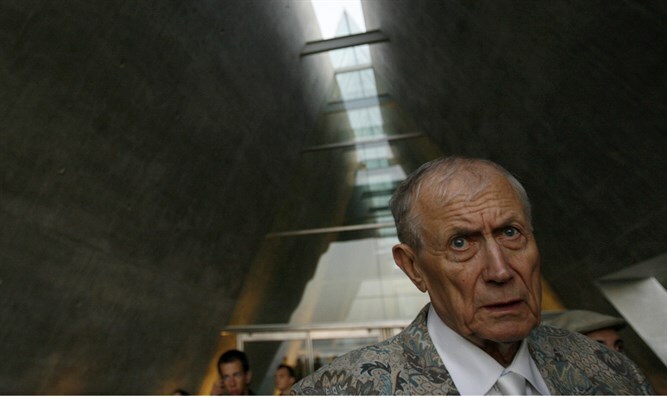 JTA - Russian poet Yevgeny Yevtushenko, best known for his poem “Babi Yar,” which commemorates one of the worst Nazi atrocities, has died at 84. Yevtushenko died on Saturday in Tulsa, Oklahoma, where he had been a faculty member at the University of Tulsa since the mid-1990s. The poem written in 1961 about the massacre at Babi Yar in the Ukrainian capital of Kiev, that killed some 34,000 Jews, was the first to expose anti-Semitism in the Soviet Union. The poem was set to music by Dmitri Shostakovich in his Symphony No 13. Yevtushenko grew up in Moscow and was invited to study at the Gorky Institute of World Literature in Moscow. He wrote poetry critical of Joseph Stalin, the Soviet dictator and mass-murderer who ruled the country for more than two decades, and gained popularity and official recognition after Stalin’s death in 1953. He published more than 150 collections of poems. Yevtushenko also was a proponent of Soviet leader Mikhail Gorbachev’s glasnost, or “openness” campaign. He was a member of the first freely elected Supreme Soviet, the Soviet Union’s Parliament. Yevtushenko told the Associated Press in 2007 that he wrote the poem “Babi Yar” after visiting the site of the mass killings, not finding anything to memorialize the tragedy that occurred there. An official memorial to Soviet citizens shot at Babi Yar was erected in 1976, and in 1991 the Ukrainian government allowed the establishment of a separate memorial specifically identifying the Jewish victims.